**Replacement:****Replacement: **COM-09635 or COM-09637. These have been discontinued. This page is for reference only. 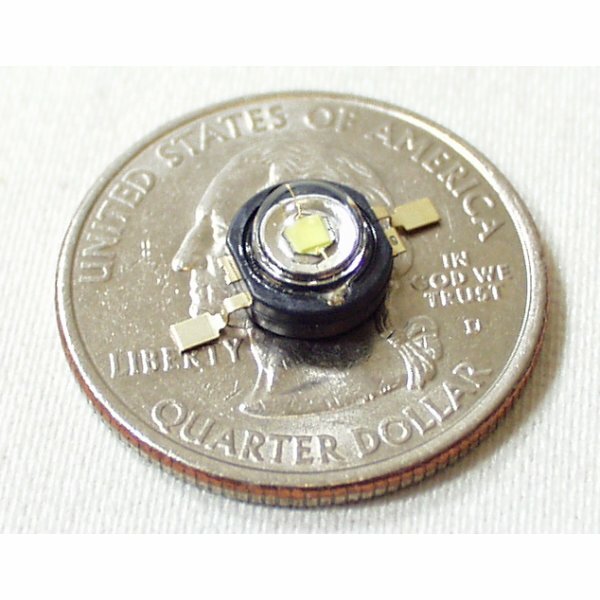 The field proven technology of Luxeon LEDs comes to the SFE masses! This**1Watt LED (yes, 350mA peak) is bright. Blindingly bright. Available in a variety of colors. For those of you trying to figure out how to wire this thing, you can see that on one side there is a second smaller leg with a small hole in it. This is the anode (+) lead. The other side with a single leg and no tiny hole is the cathode (-) lead. I used an adjustable regulator to make a 3 brightness toggle for a light I made out of three of these LEDs. If you do it my way you just need to change the resistance across two of the pins on the regulator (check datasheet for specifics). I am looking for someone sharp enough to figure out how to lower the input voltage on these leds. They appear to be fully dimmable. But for the life of me I can't figure out what I would need to do it. A hand full of these make a great work bench light source. 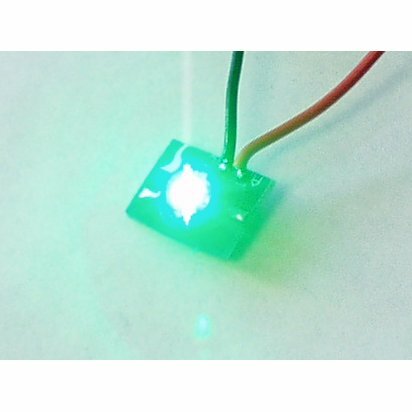 I want to use a microprocessor (aTiny or similar) to create a touch sensitive light switch that is able to turn several of these on to a desired brightness. Normally I'd use PWM to get the correct brightness, but these are way to powerful to run straight from a microprocessor. I am thinking somehow using one of these? - A 2N2222 NPN transistor. It can handle up to about 1A of current to drive the LED. -R2 on the transistor base should be around 1 kOhm. R1 = [ 5V - 3.42V ] / 0.350A = 4.5 Ohms. So pick a 1 Watt resistor to be safe. 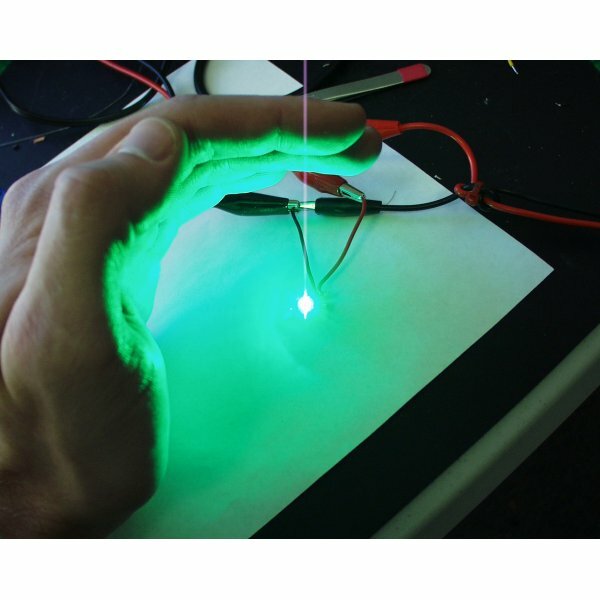 what is the maximum voltage you can apply to this LED?